FINDING DR. HERRING - WHERE HAVE ALL THE GOOD VETS GONE? If you've been breeding dogs more than a decade, you will relate to this tribute and the difficulty in finding a good small animal practice veterinarian today. Where Have All The Good Vets Gone? On a late night veterinary appointment I sat in a crowded waiting room. Suddenly a couple came racing in (carrying a dog). Shortly thereafter Dr. Herring walked into the waiting room and announced he would be about an hour behind schedule. He explained that a dog had been hit by a car and needed immediate surgery. He apologized and said we could wait reschedule. No one left and no one complained. We began talking with one another, hoping the dog would be alright. I realized then that no one left because this was the kind of care we all expected from Dr. Herring. We cheered to hear the dog made it through the surgery. Sadly, many dog owners today never experience this type of a relationship with their vet. With such busy lives, new pet owners will not take time to choose the best veterinarian to fit their needs. They will choose a veterinary practice based on prices and/or on how close they live to the office. Others will find themselves playing musical vets. Picking a vet according to the emergency that arises and choosing low cost clinics for everything else. The fact is today new pet owners have no experience on which to base their choice of a vet. Most have never lived on a farm, thus they have little knowledge of nature and animal husbandry. When it comes to their pet's health they just are not equipped to make first time major decisions. Part of the problem stems from where new owners today are buying their pets. They buy poorly bred dogs from backyard breeders, pet shops, or rescues and shelters and are left fending for themselves when problems arise. A good breeder is a fountain of knowledge without which new owners miss out on the knowledge that breeder provides. Pets then miss out on quality care because there's no experienced breeder's recommendation of a good vet familiar with their breed. It was through a dog breeder that we found Dr. Herring. The first thing we noticed about Dr Herring was his calmness around animals. He learned to be comfortable around them on his family's farm in Indiana, then from an older veterinarian who encouraged him to further his education in the veterinary field. He took that advice and graduated from Perdue University. Dr. Herring would go on to manage a zoo, race horses, breed dogs and open his own practice, Herring Veterinary Service. Ask yourself what details of your vet's background do you know. Do you have any relationship with your dog's doctor other than a fiduciary one? Veterinarians today find little time to build friendships with their clients. The cost of education is a great burden for young vets. Then, the burden of paying off student loans pushes new vets into positions they may not be ready to handle. 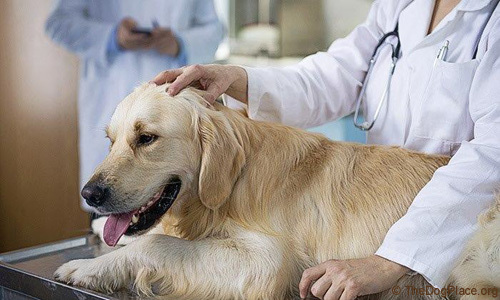 New veterinarians are taught to rely on test results because they lack a lifetime of experience for answers but most tests are administered by vet techs and results come by phone which means less time with the veterinarian. All of this impedes the veterinarian's ability to get to know their clients. The breeder-vet-client relationship is also in jeopardy due to a change of philosophy in current veterinary medicine, one which endorses less breeding and more sterilization. This means the great collaboration between vets and experienced breeders has all but dissolved. But perhaps the biggest breeder-veterinarian problem today is organizations such as the Humane Society of the United States that endorse the sterilization of all pets. They support and encourage assembly line clinics for sterilization, further weakening the vet/client relationship. The HSUS has significant influence in the political world which creates challenging government regulations that change what a veterinarian can and cannot do in caring for our pets. Not so long ago I sat down with Dr. Herring to discuss these issues and talk about his partial retirement which forced me and many of his clients to consider what they would do without him. 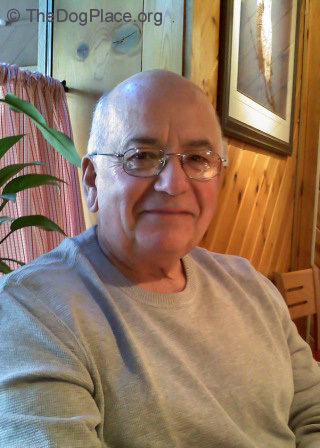 A veterinarian for over fifty years, Ronald K. Herring, DVM is a soft spoken and caring man. In our small rural area he was a "vet" before his time. He offered new, innovative services combined with a bed side manner of an old friend and our community was gratified. During my interview with Dr. Herring I realized how lucky I was to have met Dr. Herring. I realized that without veterinarians like him, many of us dog fanciers would not be here today. Without those veterinarians who worked side by side with breeders the purebred dog would not have survived. Dr. Herring spoke of his a strong foundation in animal husbandry before he chose to become a veterinarian. I thought of many younger vets who only lived with a pet before making their decision in a veterinary career. As our society urbanized, they missed Dr. Herring's experience growing up on a family farm where they were introduced to nature's cycle of life and death. In some ways this background seems to have made him a little better prepared for the stresses and the limitations of their job. According to Dr. Herring, "sadly all of my patients will eventually die." This reminds us that all veterinarians, as skilled as they may be, do have limitations. What makes Dr. Herring different is that he will tell you, "I became a veterinarian because I love working with animals but I also love the people". It is that love of people that makes Dr. Herring truly special. You always know he cares. You understand just how much his clients mean to him and he knows how much your pets mean to you. He often goes to great lengths to help clients through a situation. He spends a weekend looking over the newest reproduction test. He will meet with your dentist to discuss a broken canine tooth in your canine. He will share your joys of a new pup while sharing photos of his grandchild. He picks up the phone in the middle of the night. He will talk you through a bloating dog. He will meet you on that heart-stopping Sunday afternoon to help you relieve a suffering pet. And he will stay with you through it all. When I asked Dr. Herring what was the most important lesson he has learned in fifty years as a vet he responded... "being able to see the body heal itself". Early in his career he was called to a accident with a horse. It faltered over a jump and peeled back a large part of the flesh from it's underside. The injury appeared to be irreparable. "There was nothing left to do but try" he said. It took many, many visits to control infection and constantly reattach skin that came loose. After months of tending to the wound Dr. Herring said, "something amazing began to happened, the horse's own body took over and began healing itself." Dr. Herring uses that knowledge to allow pets to heal naturally when possible. This type of treatment takes both time and commitment. It is however better on the patient and often easier on the client's pocket book. It is this type of care that builds a relationship and gives the owner a deeper understanding and appreciation for their animal and its health. Clients like myself are lucky to still have a veterinarian like Dr. Herring. With such vets, it is never about prestige and money. It is never about unending tests and drugs without results. It is about caring and simple honesty. It is about knowing what you can and cannot do and understanding those limitations. It is about a relationship of devotion and dignity to both owner and pet. They say we "should never meet our heroes" but that depends on a individuals expectations of what a hero is. In the words of Arthur Ashe... “True heroism is remarkably sober, very undramatic. It is not the urge to surpass all others at whatever cost, but the urge to serve others at whatever cost”. Everyday heroes defines many of our older veterinarians. It defines what Dr. Herring has meant to me and to all of his clients. These are the vets who struggled on a humble salary with little or no accolades. These were and are some of the dog worlds "greatest generation" who make us want to be better owners. So, if you want a hero in your corner when your dog's life or your last dollar counts on it, don't look for the cheapest or closest vet. Dr. Herring's clinic is an hour and fifteen minutes from our home. Choose a vet based on a foundation that begins with a personal visit. Do not wait till you have a health problem. Get to know your vet before you take your pet. Make a list of questions using the above article as a guideline. Schedule a "get to know you" appointment at veterinary offices without your pet. Arrive an hour earlier than scheduled. Relax and observe the waiting room. Take notice how the office staff handles clients, their pets, phone calls and questions. Are the clients happy, do they question charges, does the staff try to sell them extra products? And most important, does the vet sit down with you, look you in the eye and smile as he or she discusses your concerns or do they stand at the exam table looking at their watch, irritated by your questions? Were you happy to pay for fifteen or twenty minutes of his or her time? Did you feel that you could have asked that veterinarian anything, or were you nervous and anxious to leave? If you left that veterinary interview thinking "He or she was wonderful! ", then you just may have found your own Doctor Herring. If you did not feel comfortable and assured, then try another vet. You and your pet are worth it. There are good vets still around today, you just have to dig a little harder to find them and I hope this has helped you do that.